This exhibition place used to be an electric power plant. Yanobe will transform this abandoned building into the “future” place by creating a story and put it as an installation. 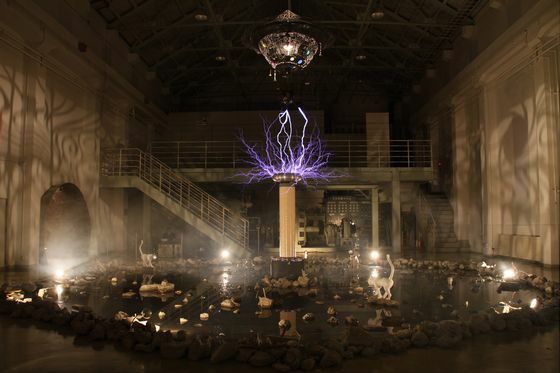 In the “discharge” part, Yanobe set up a Tesla coil, which will generate an artificial thunderstorm and expressed as if the electric power plant revives. This exhibition is divided in four parts.